Gaining the necessary business startup funding can be a major hurdle for a new business. As the leader it is your job to convince prospective lenders or investors that you are right person to lead this new venture and that your business plan is well prepared, realistic and achievable. This section of your business plan is perhaps the most important. Prospective lenders or investors may skip ahead to this section to quickly assess what exactly you are asking of them. Therefore, this section may end up being the first impression they have of your business plan, so make it good. Clarify your funding request. Detail the amount of funding necessary to support your business. Explain how the funds will be used and specifically how you intend to repay the money, complete with all options for terms of repayment. 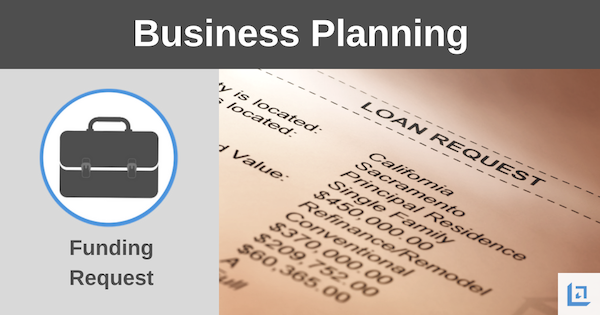 If applicable, summarize key details concerning the starting or acquisition of your business. Your business startup funding request should include a list of all start-up expenses. As you create the list, ask yourself if each item is necessary to have upfront (need-to-have), or if the item can be purchased later (want-to-have) when the business is more established. Examples of start-up expenses might include: Business Licenses, Incorporation Expenses, Deposits/Down Payments, Rent, Interior Modifications, Equipment/Machinery Required, Insurance, Stationery/Business Cards, Brochures, Pre-Opening Advertising, Opening Inventory, other. "Acceptance of a funding request is never by accident. Bank lend money to people who have good credit, experience, assets for security, and a more than reasonable chance of repayment." 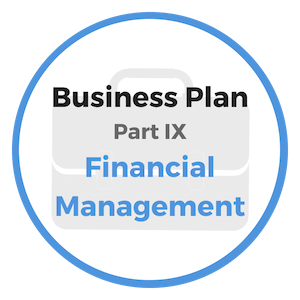 Later in our business planning course you’ll see a section on Cash Flow. One of the best ways to determine how much business start-up funding is required is to complete a monthly cash flow projection statement for the first 1 or 2 years of the business. 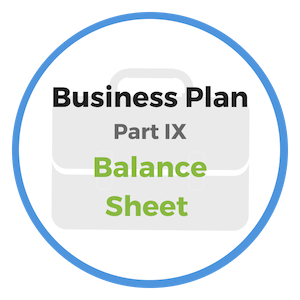 Use the template we’ve provided in the Cash Flow section and complete your projections for the next 12-24 months. Continue the monthly projections until the ending balances are consistently positive. Find the largest negative balance - this is the amount needed for start-up capital for the business to survive until the break-even point when all expenses will be covered by income. If possible, provide more than one option for prospective lenders or investors to consider. Each scenario for funding, however, should stand on its own and be an appropriate amount to fully support the project. As you outline your current and future funding requirements, be sure you include the amount you need currently as well as the amount you will require at a future date. Provide a clear purpose for the funding. Explain in detail how the funds will be used and how those funded activities will help promote and drive the growth of the business. Some ways the funds may be used could include capital expenditures; working capital; debt reduction; expansion and new acquisitions. Lastly, it's worth mentioning again that you make clear to the lender or investor how you intend on repaying the funding provided. You need to exhibit a clear commitment to make good on the trust you are asking them to have in you and your project. "An entrepreneur without funding is a musician without an instrument." - Robert A. Rice Jr.
Every good leader will do the most with the least in borrowed money. Why? Because borrowed money means debt, and debt adds risk to your business so it's important to borrow money sparingly. If you start a new business on a shoestring and then show a great talent for it and wish to expand, then borrowed capital at reasonable terms can be beneficial. However, you need to tread very lightly when borrowing money. Too often new business owners overextend themselves to support a startup venture because they wish to expand too quickly. They end up losing their business and their credit is ruined. "A wise man should have money in his head, but not in his heart." A person’s success in the line of business he wishes to enter depends greatly upon his insights into character, upon one’s ability to choose just the right people to assist him. Surround yourself with a support system of well qualified, energetic and hard working people who share your vision and are committed to making the dream a reality. It's better to start your business in a small way in the early stages. After you have demonstrated a capability to drive results and grow the business, you will have little difficulty in gaining credit to support future expansion. Because of your expertise, your ability to negotiate better terms for financing will also improve. Sometimes business startup funding must be borrowed, or at least a portion of it. However, tread lightly when it comes to taking on debt. Just because you can borrow money, doesn’t mean you should! The best advice is to avoid debt as you would avoid standing in oncoming traffic. Terms such as, “the borrower is slave to the lender” and “he that goes a-borrow’n, goes a-sorrow’n”, hold a lot of wisdom that you should remember before ever signing a note of credit. Proceed with caution and manage your risk closely. 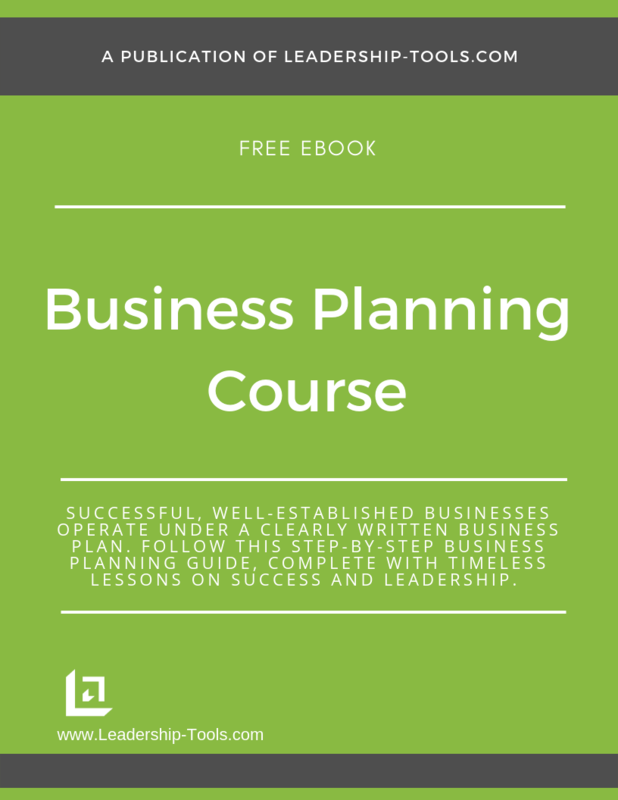 To download our free Business Planning Course/eBook, with step-by-step instructions for gaining business startup funding, simply subscribe to our free newsletter. You will immediately receive a password that grants access to our entire leadership tools library.